The Queen Mary’s already-frightening annual Halloween event, Dark Harbor, is taking it one step further this year. Waivers. Waivers usually mean a scary good time at these types of events for those willing to sign them, as represented by the “Trapped” maze at Knott’s Scary Farm and the interactive Blackout attraction in Los Angeles and New York that requires a safe word and going in alone. While not much information has been released about this new waiver-requiring attraction aboard the Queen Mary at Dark Harbor, officials expect it to give attendees an extra jolt of anxiety. “This new, exclusive experiment in horror puts guests in an intimate and frightening setting that will leave a lasting impression […],” officials said in a statement. More information about this attraction, as well as two other new mazes aboard the ship that will replace “Hellfire” and “Containment,” will be released in the coming months, officials said. A new Voodoo Village will attract guests with dark magic gypsies in an area surrounded by shrunken heads, voodoo dolls and the feared Voodoo Queen. There will also be an all-new Monster Midway that will feature entertainment, zombies, food, the Freakshow and a to-be-revealed ride. Old favorites will also return to Dark Harbor, including the sadistic Ringmaster, the crazed Half Hatch Harry and the hauntingly quiet Captain. 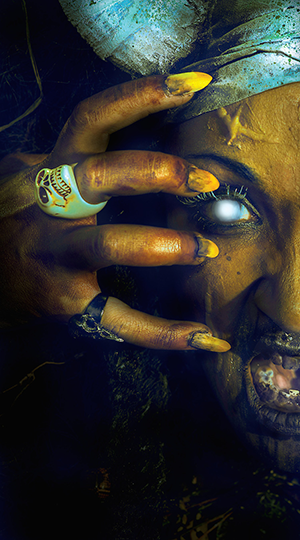 Dark Harbor kicks off October 2 and runs through November 2 from 7:00PM to midnight each night. Ticket prices start at $20, with higher prices for Fast Fright, VIP passes and lodging packages. Season passes will also be available for those daring enough to go more than once. To purchase tickets and for more information, click here.